A Weekend Packed with Food & Fun! 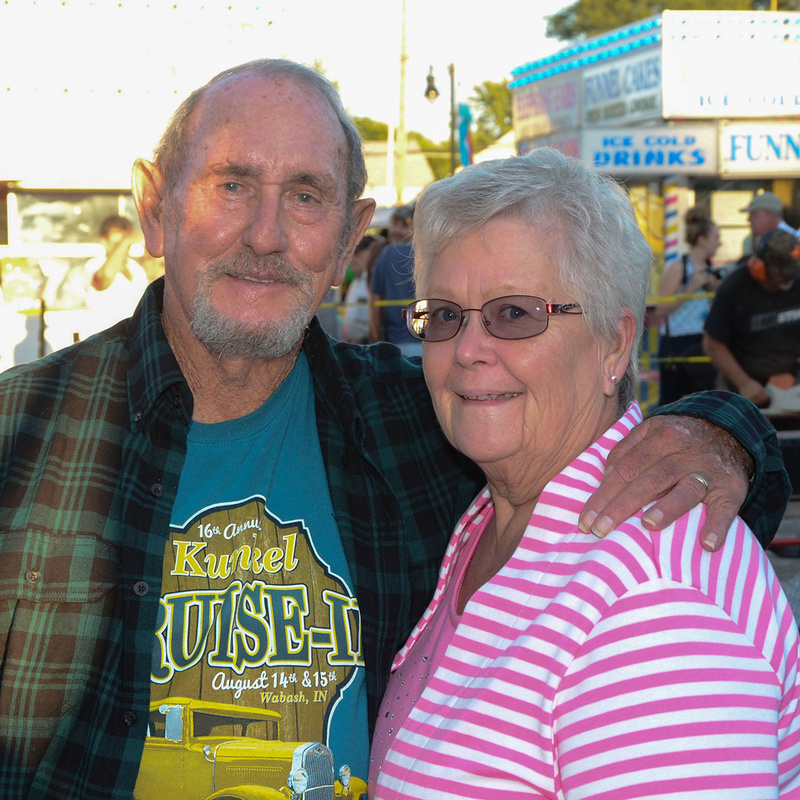 Each year, Ossian Days, Inc. puts on an annual street festival known as Ossian Days. 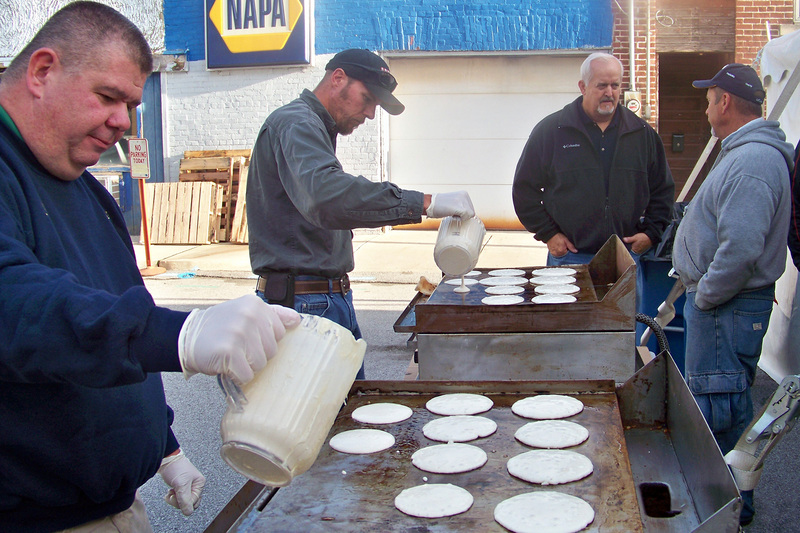 Ossian Days offers 2 ½ days of classic carnival activities and good food. 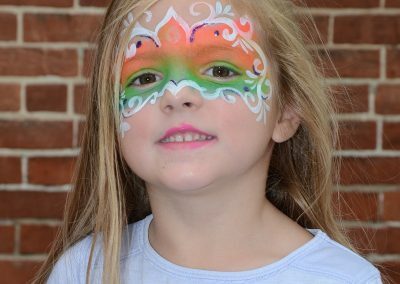 This festival is perfect for the entire family! 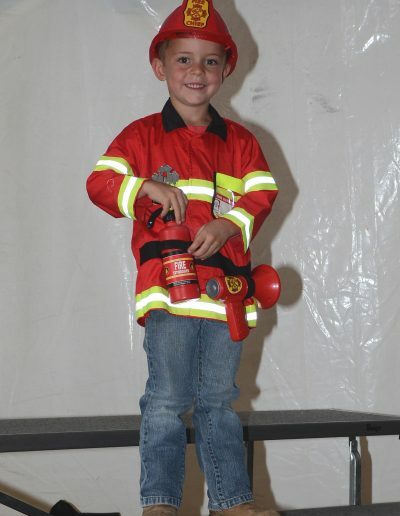 We have a variety of events, food, and entertainment suitable for all ages. 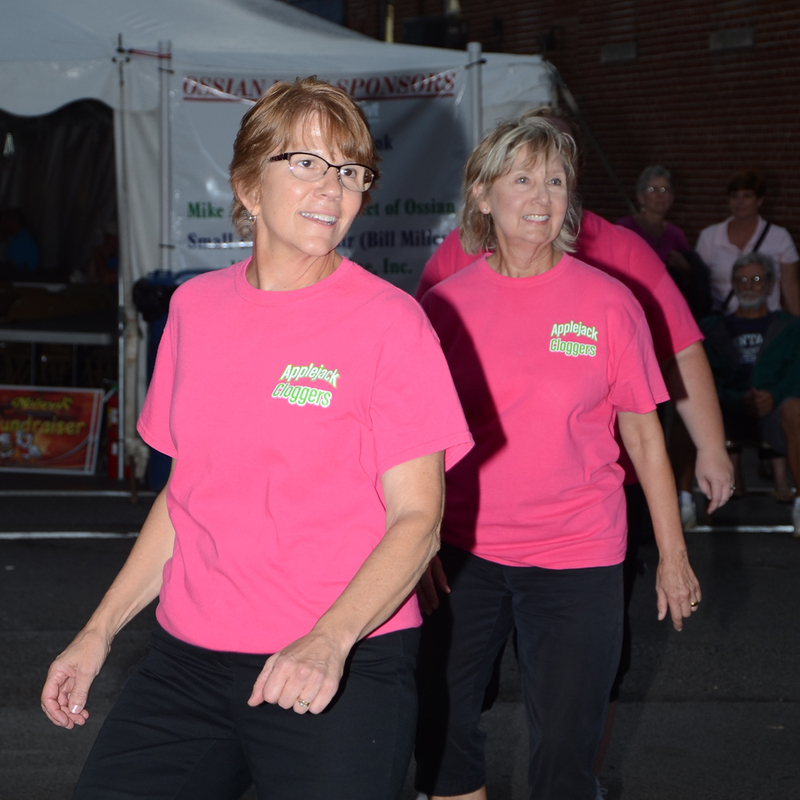 Rides by Beer & Jessop Amusements will be returning, and a longtime Ossian Days favorite, Bessie's Movement! Use the links below to go directly to a specific day's schedule of events. Please Note: No pets are allowed on the Midway. Helpful Tip: Bring cash when you attend Ossian Days. Many of our vendors are cash-only and do not take credit or debit cards. 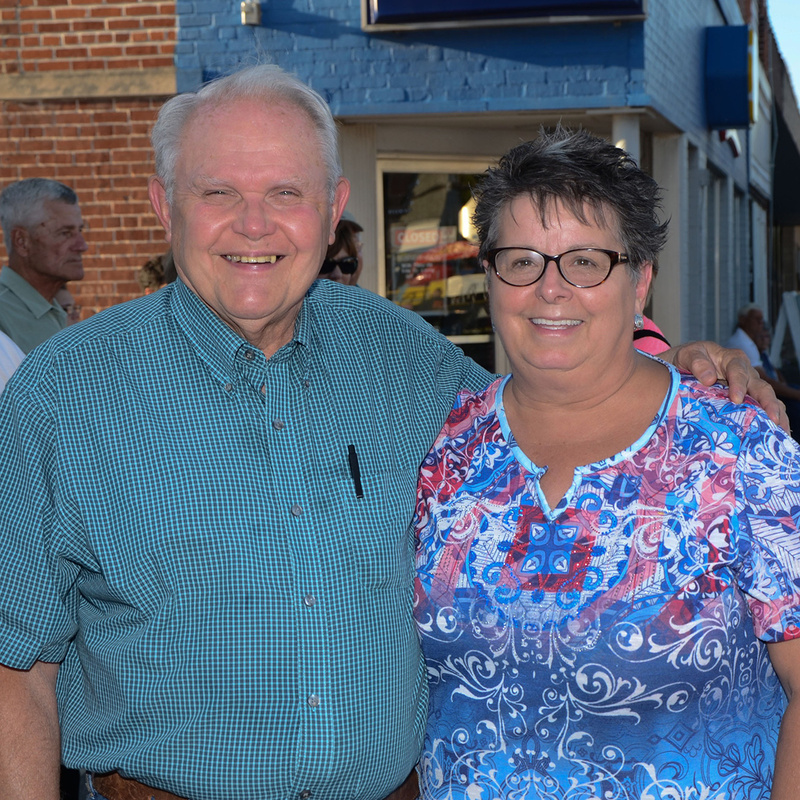 You can find an ATM at Ossian State Bank, conveniently located just off the Ossian Days Midway. 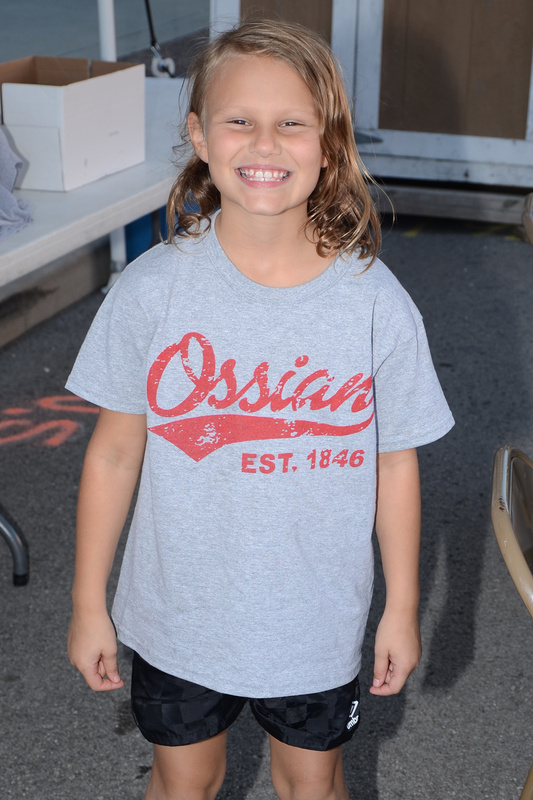 Register at Ossian Days Booth. Contestants under 18 must have parent/guardian signature to compete. Behind Event Tent on W. Craig St.
Tell your friends about Ossian Days! This is where you'll find general info about the Ossian Days Festival, like location, hours, and info for vendors and booth rental. 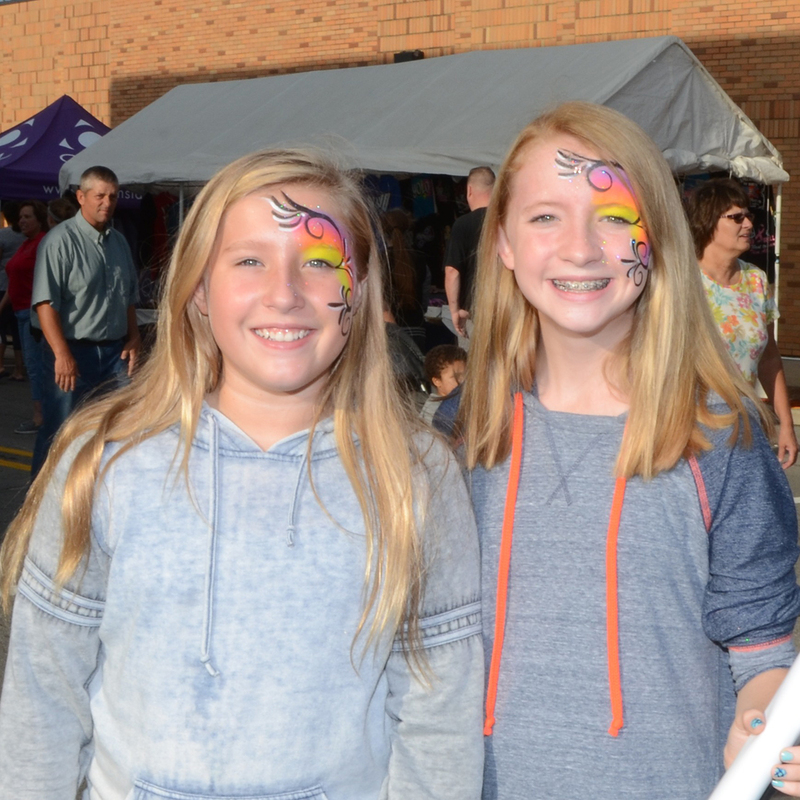 Ossian Days 2018 is Thursday, Friday, and Saturday, September 13th, 14th, and 15th. 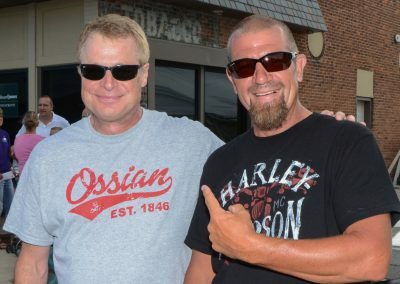 What are Ossian Days' hours? Vendor hours for check-in and set-up are Thursday from 9am to 2pm. 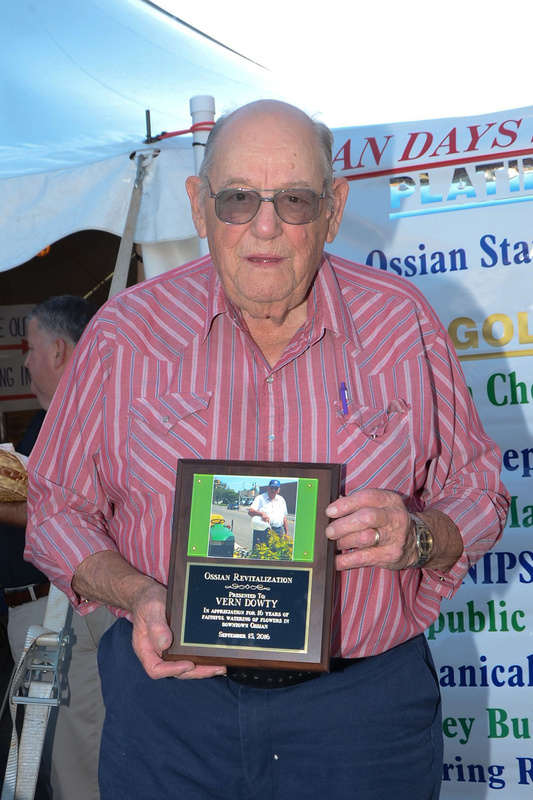 Where is Ossian Days located? 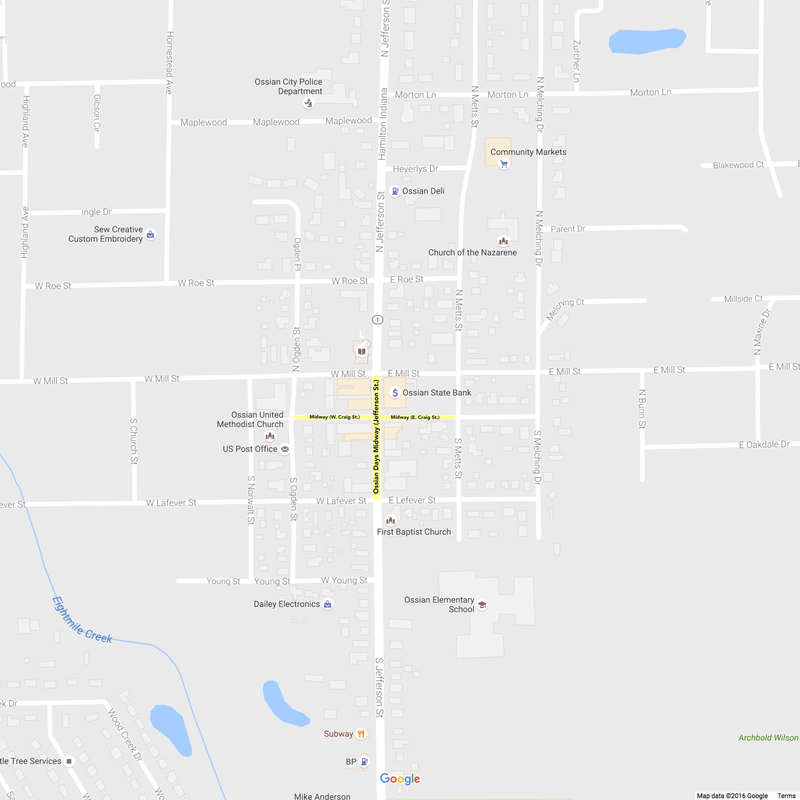 The Ossian Days Midway is located on Jefferson Street in downtown Ossian, between Mill Street and Lafever Street, and on Craig Street between Ogden and Metts as shown on the maps below. Click either image below to enlarge. Click here to view the area on Google Maps. Is there an admission fee for the festival? No, there is no fee to attend. 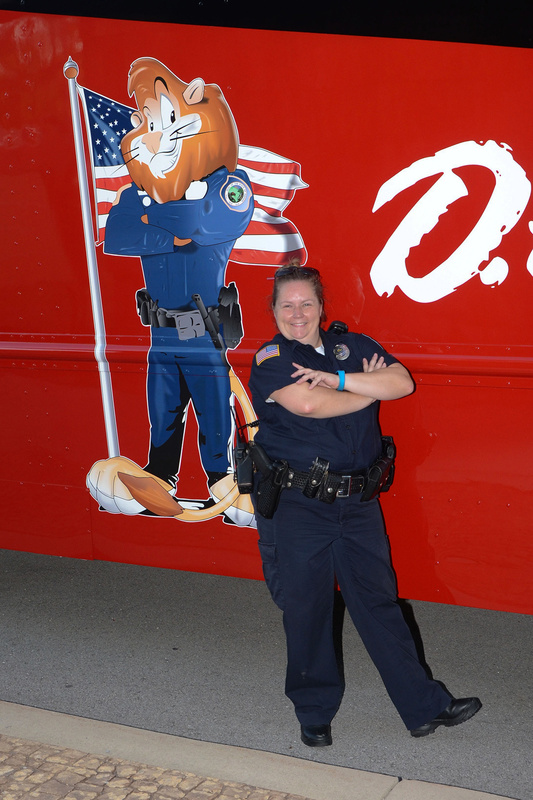 Ossian Days is proud to once again offer free admission for everyone. There is plenty of free parking available on the streets adjacent to and nearby the festival area. Please make sure to observe all posted No Parking signs. 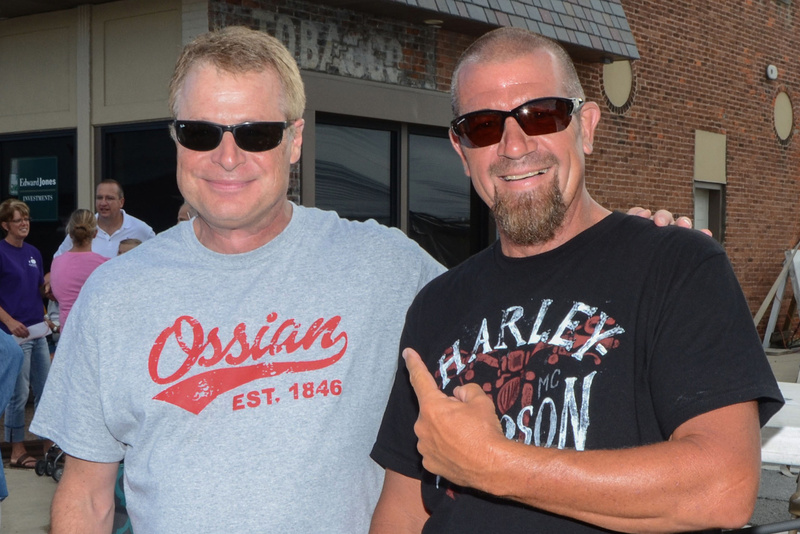 Where can I download the official Ossian Days photos? 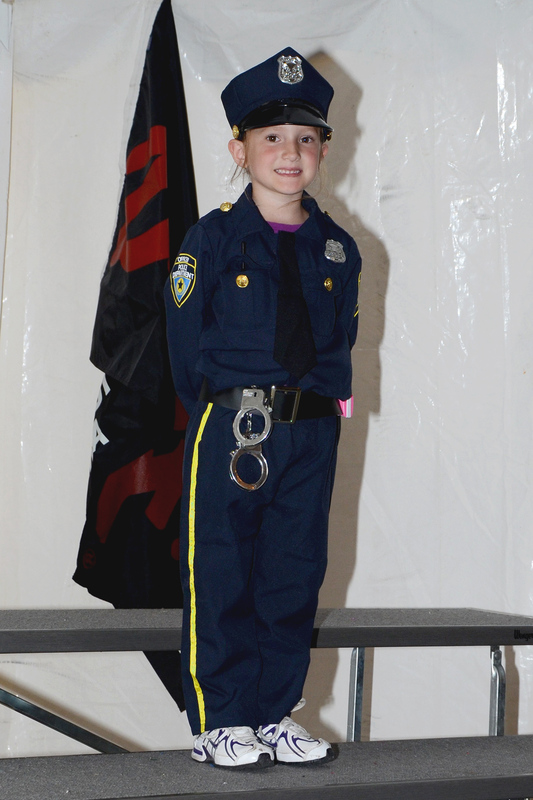 You can view all of the official Ossian Days photos at our SmugMug account here. You can also purchase any of the photos you like, and even purchase them as fun keepsakes like photo prints, canvases, mugs, coasters, magnets, and more! Can I bring my golf cart to Ossian Days? Golf carts are required to have a special permit to be used at the festival. 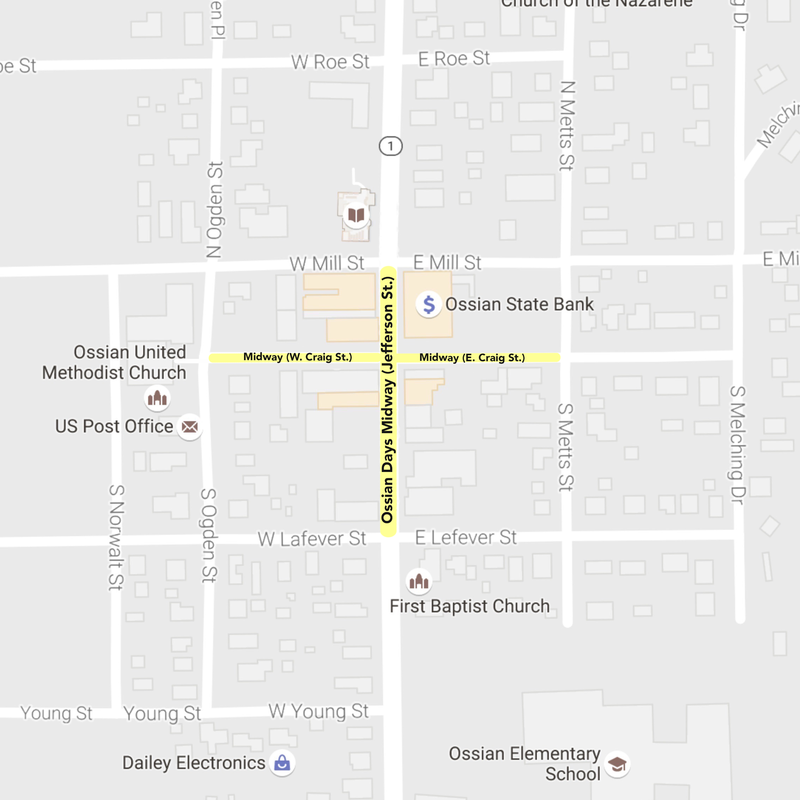 The permit can be obtained at the Ossian Police Department. Can I bring my pet with me to Ossian Days? No. No animals are permitted at the festival. 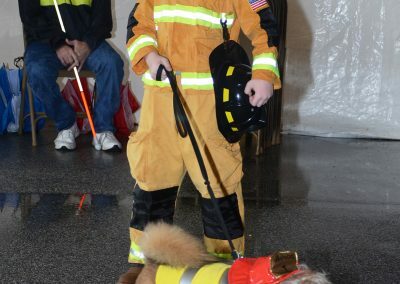 Service Animals are allowed. 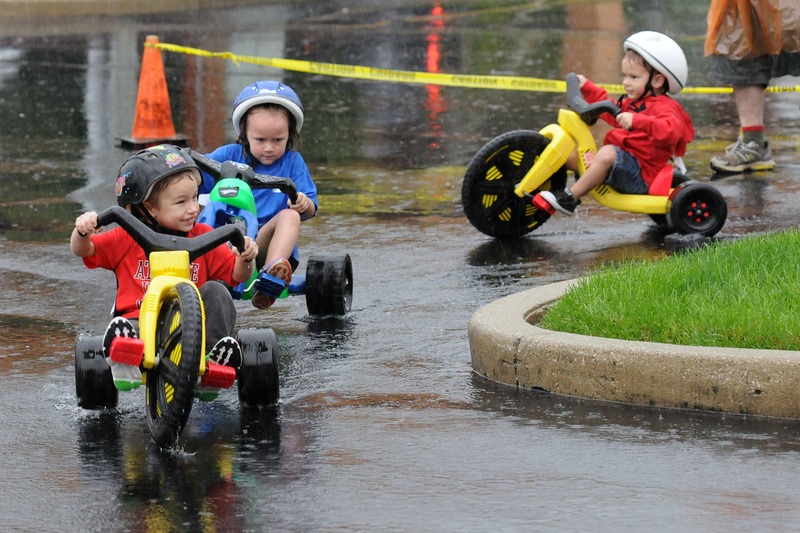 Are there rides at Ossian Days? Yes! 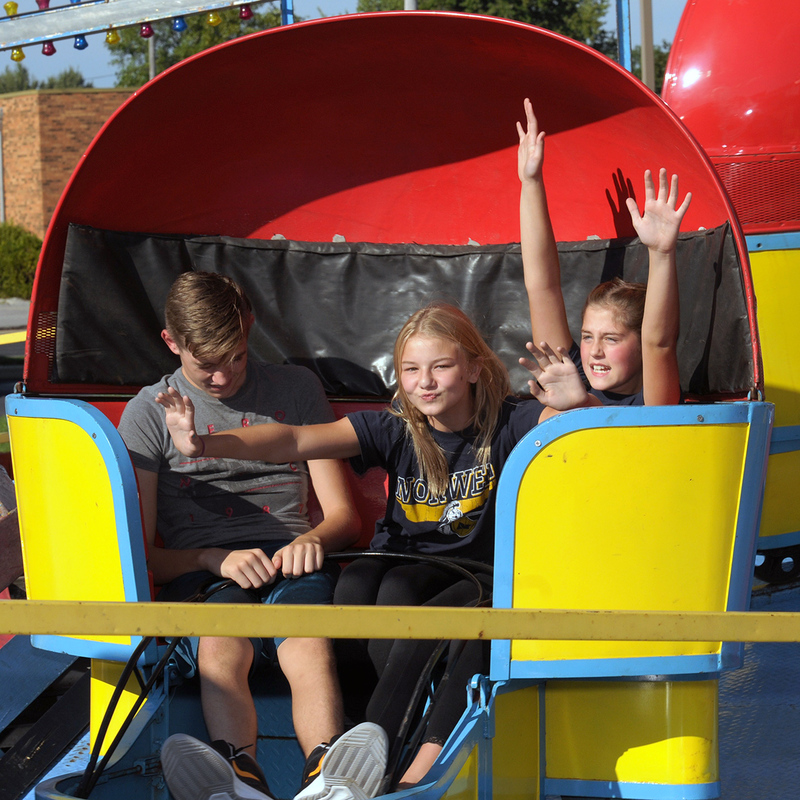 Ossian Days 2018 once again features rides provided by Beer's & Jessop's Amusements. Ride hours are Thursday from 5pm to 9pm, Friday from 5pm to 11pm, and Saturday from 12noon to 11pm. 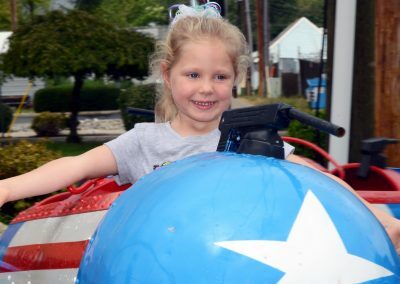 What kinds of rides will be at Ossian Days? 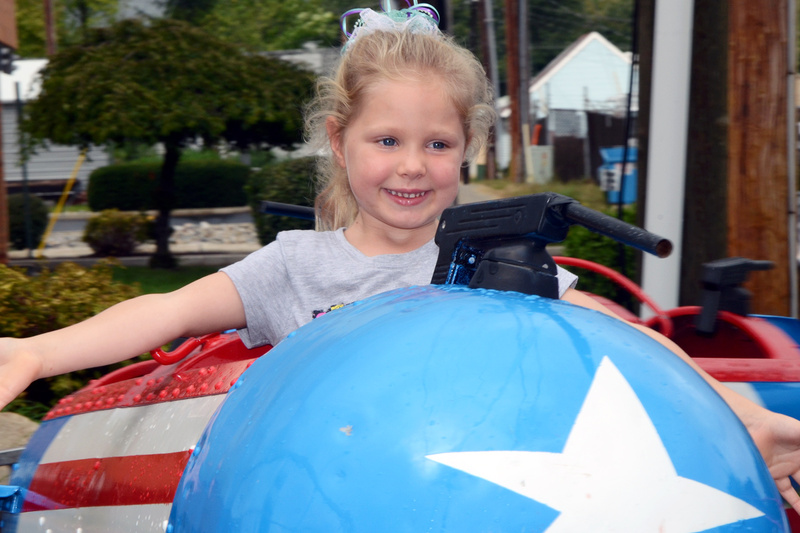 The rides the company brings are subject to change pending availability and maintenance status, so we can't guarantee that any specific ride will be at Ossian Days. This Pre-Sale Special is good now through 12noon on Thursday, September 13th. Purchase at the Ossian Deli, Ossian Hardware, and Ossian State Bank. Will there be a Bracelet Night for rides? Yes! 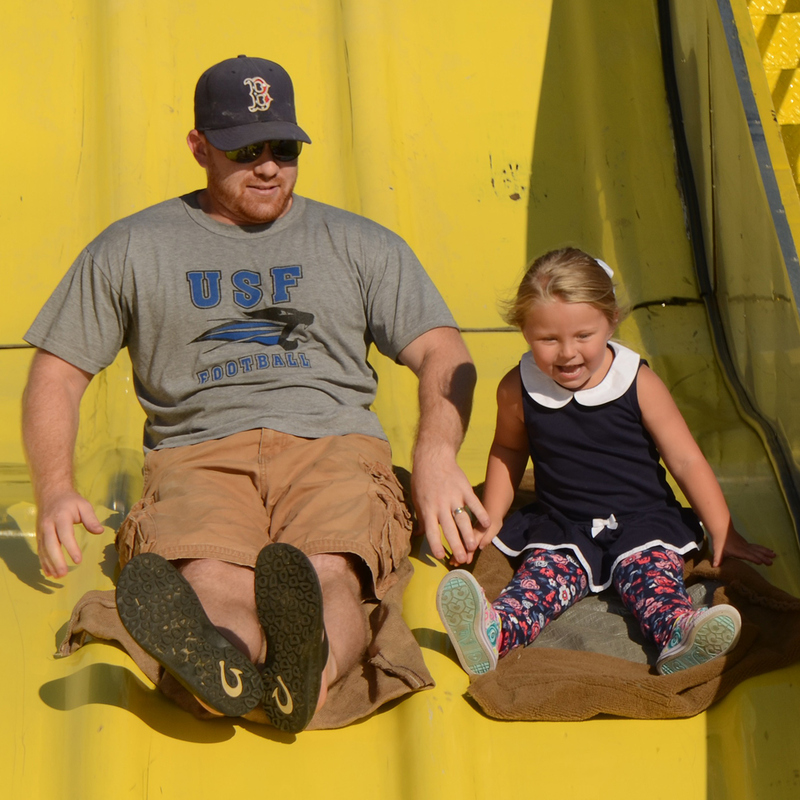 Ride Bracelet Night is Friday, September 14th, from 5pm to close. Bracelets cost $18. Get up to 5 Tickets for FREE! For each non-perishable food item you bring, you will get one FREE ride ticket! IMPORTANT: Limit 5 free ride tickets per person. 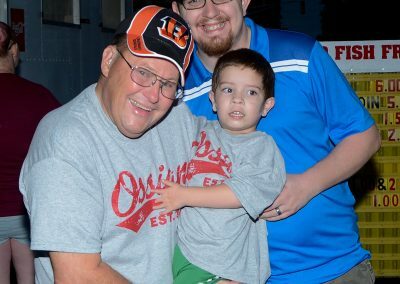 Bring food items to the Ossian Days booth, starting at 5pm on Thursday, Friday, and Saturday, while tickets last. There are a limited number of ticks, first come, first served. All donated food will go to the food bank. Tilt-a-Whirl riders are split: Hands Up or Hang On? I want to set up a booth at Ossian Days. How do I do that? Download, complete, and return a Booth Rental Agreement. Submit payment in full for your booth space rental fee. Rental fee amounts are shown on the last page of the Booth Rental Agreement. 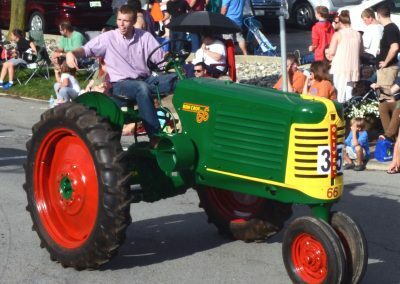 Submit a copy of your insurance policy showing proof of liability coverage naming Ossian Days, Inc. as a certificate holder. 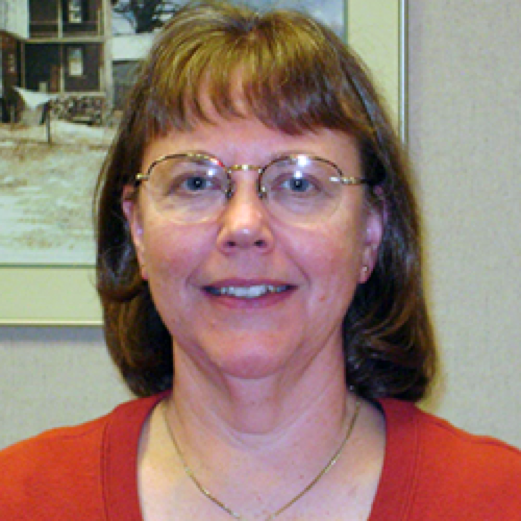 Food Vendors Only: Obtain your food permit from the Wells County Health Department. Booth space WILL NOT be reserved until all items above are completed. How much does it cost to rent a booth? Fees vary depending on the size of your booth, whether you are a Not For Profit organization, and what kind of electric hook-up you require. All fees for booth rental are listed on the last page of the Booth Rental Agreement. 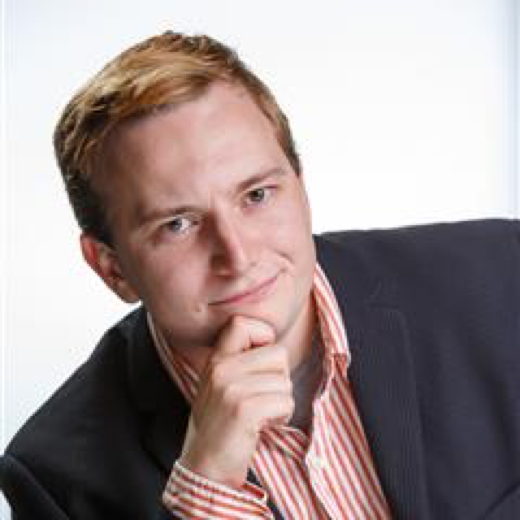 When can vendors begin setting up their booths? 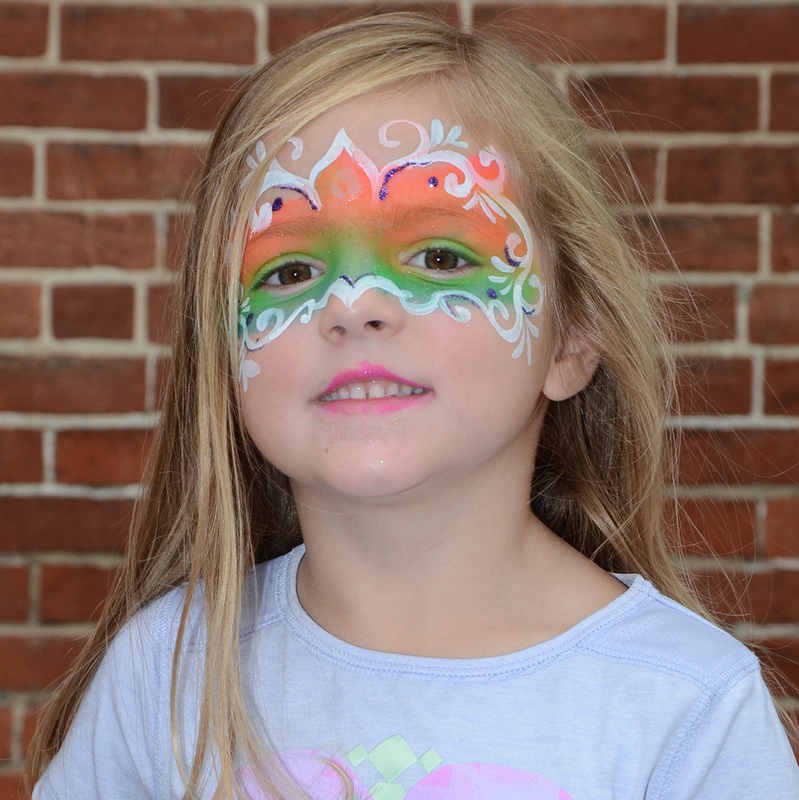 Vendors hours for check-in and set-up are Thursday, September 13th, from 9am to 2pm. 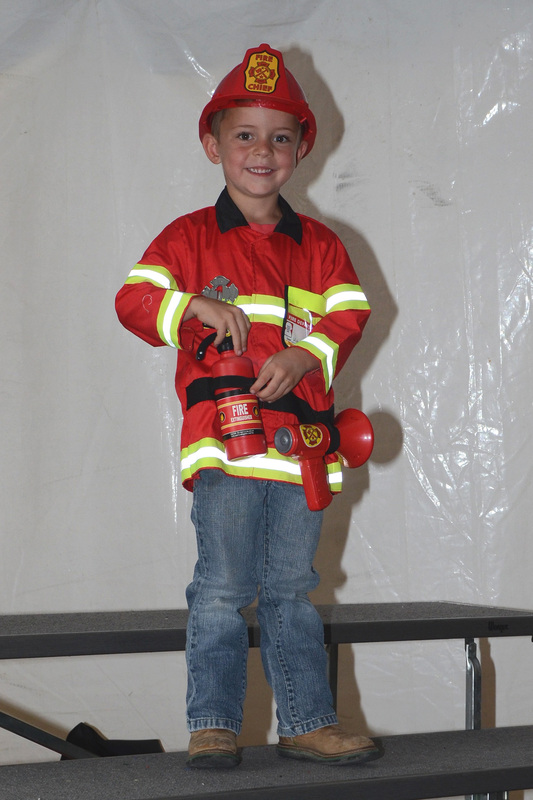 Does Ossian Days, Inc. provide water hoses, adapters, or extension cords for vendors? No. 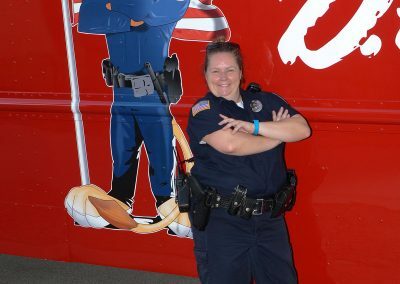 Vendors must supply their own equipment, including all hoses, adapters, and cords required. Please Note: Maximum load per plug is 30 amp. 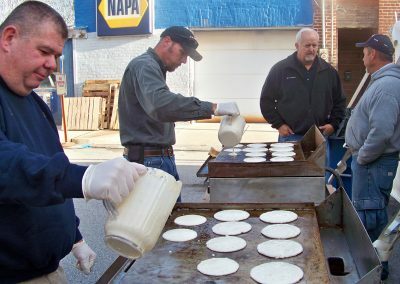 Does Ossian Days, Inc., provide a clean-up service for vendors? No. 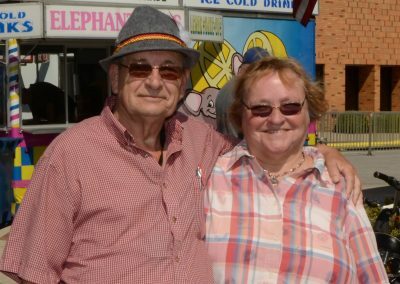 Vendors are responsible for cleaning up their space and returning the premises to the way it was prior to the festival. All trash from your booth should be taken to the trash container behind the old Brew Ha building at the south end of the midway. 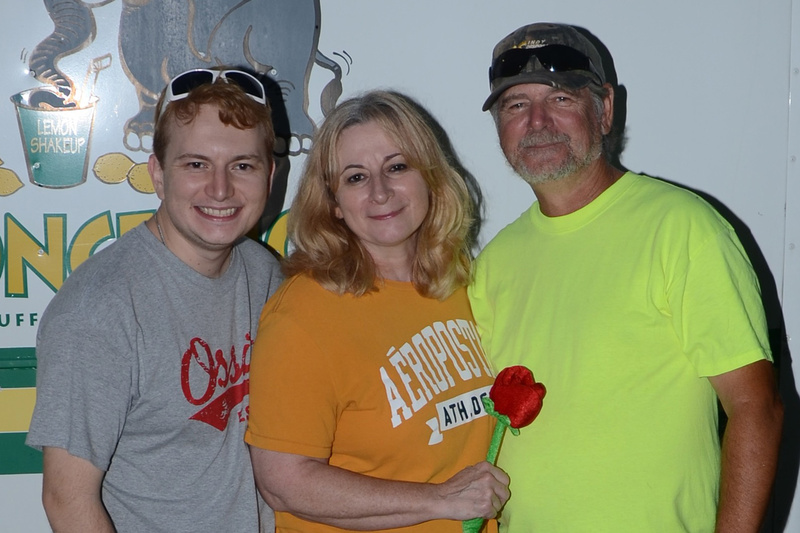 I want to rent the Event Tent at Ossian Days. How do I do that? Download, complete, and return a Tent Rental Agreement. Submit payment in full for your tent space rental fee. The rental fee amount will be determined by the Ossian Days Board at the time of your request. Submit a copy of your insurance policy showing proof of liability coverage ($1,000,000). 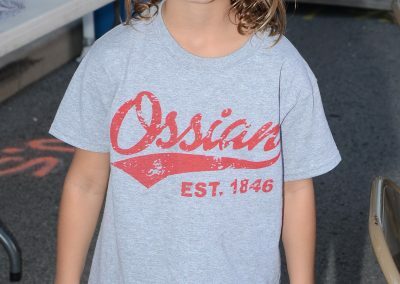 Does Ossian Days, Inc. provide set up for my event in the tent? No. Tables and chairs will be provided, if needed. However, before your event, you may need to set up the tables and chairs. 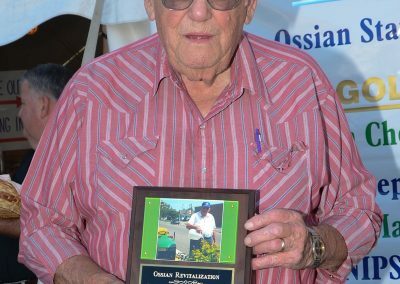 Does Ossian Days, Inc. provide clean up for my event in the tent? No. You are responsible for clean up, unless other approved arrangements have been made. Clean up includes wiping off and taking down the tables and chairs, as well as stacking them on the southeast corner of the tent. Is there a sound system in the tent? No. There is no sound system provided with tent rental. You are responsible for your own system needs. 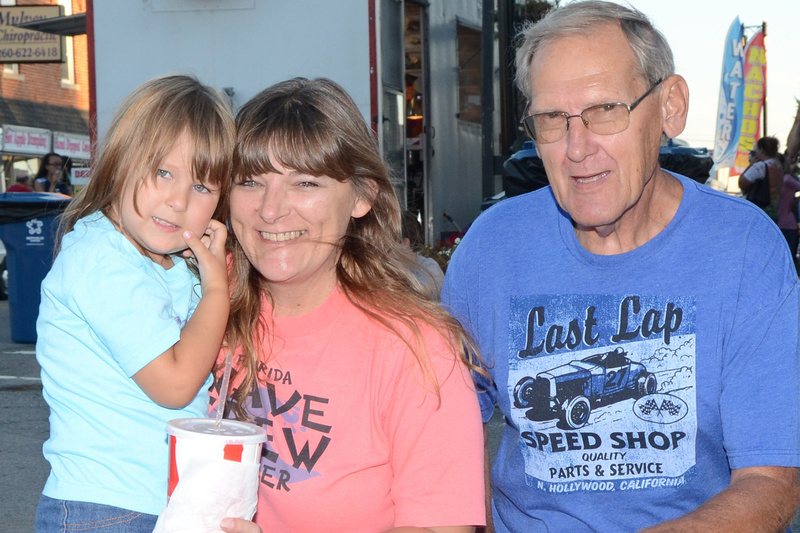 This is where you'll find details about many of the events happening during Ossian Days, like when and where the events take place, how to register for the events, registration deadlines and fees, and who you can contact for more information. You can use the links below to jump directly to the details of a specific event. 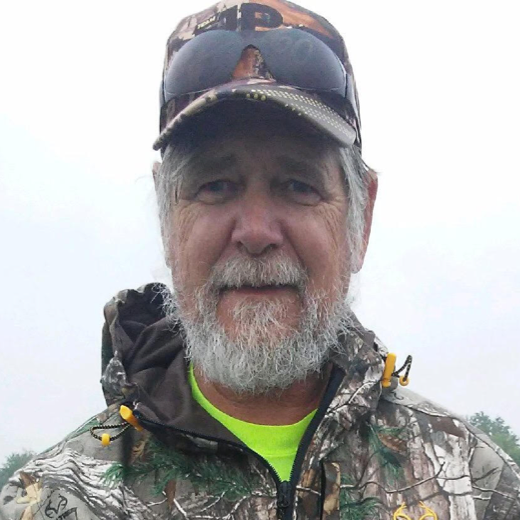 When and Where is the Smoked Pork Chop Dinner? 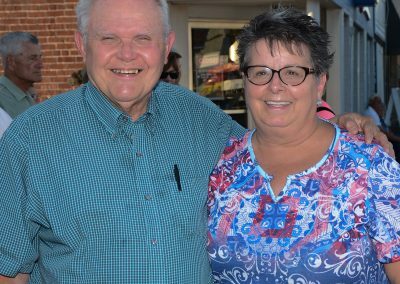 The Smoked Pork Chop Dinner is Thursday, September 13th from 4:30pm to 7:00pm. The Helen Witte Pie Auction is at 6pm. 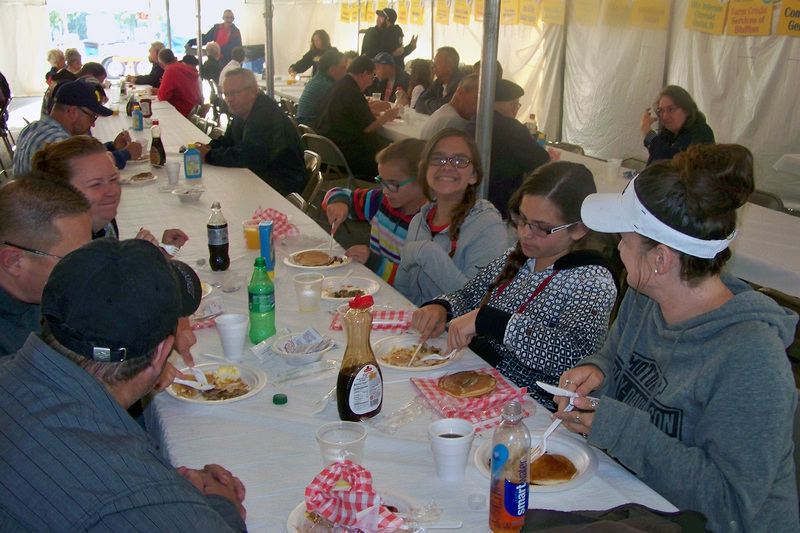 The dinner takes place in the Event Tent on Craig Street, just off the Midway. What is included in each Smoked Pork Chop Dinner? Each dinner includes an 8 oz. smoked pork chop, baked potato, apple sauce, roll, sweet treat, and a beverage. The pork chops are from Ossian Smoked Meats. How much are Smoked Pork Chop Dinner tickets? Tickets are $9.00 pre-sale and $10.00 at the event. Where can I buy Pork Chop Dinner tickets? You can buy tickets at the Ossian Town Hall, Ossian State Bank, and Ossian Do-It-Best Hardware. You can also buy tickets from any member of the Ossian Economic Revitalization Committee. Yes. 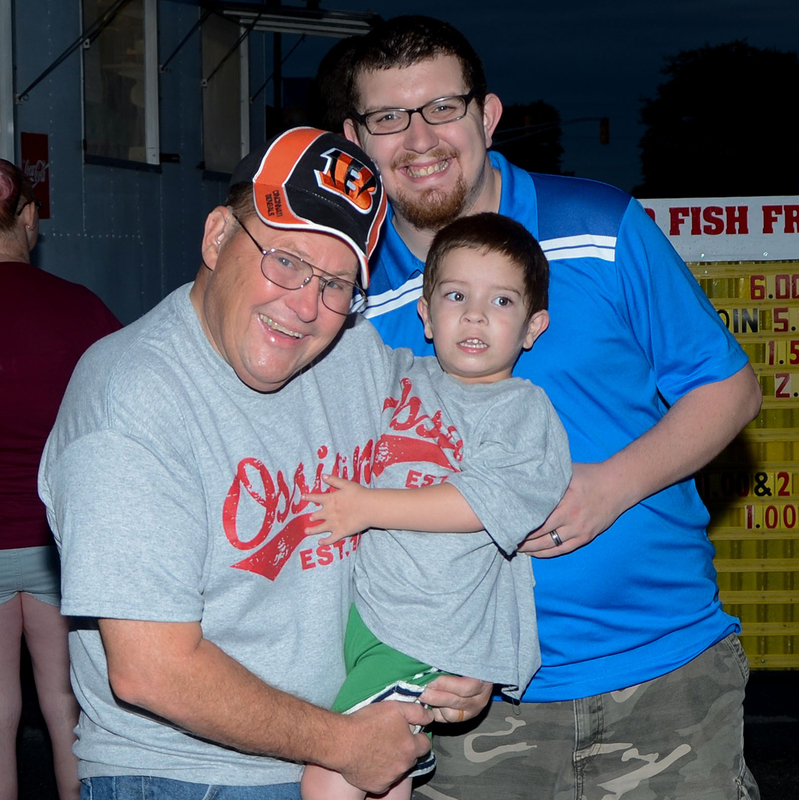 You can pick up your carry-out orders on the west side of the Ossian Days event tent on Craig Street. 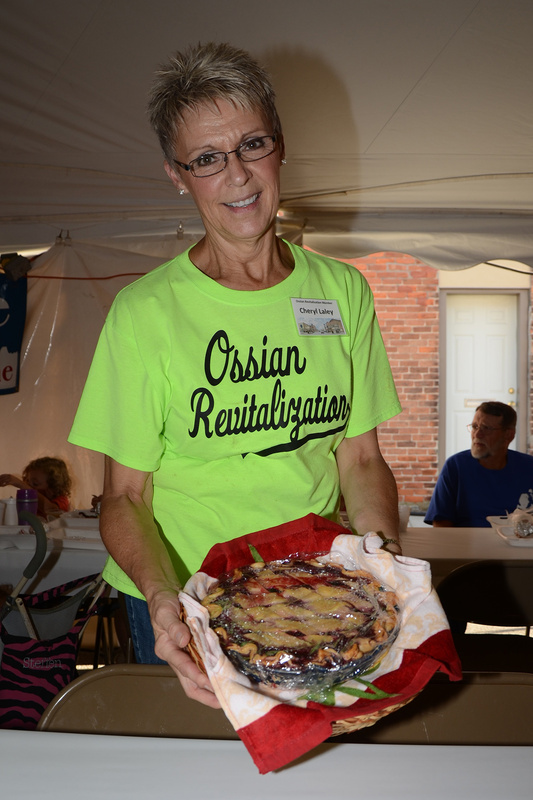 The Smoked Pork Chop Dinner is sponsored by the Ossian Economic Revitalization Committee. 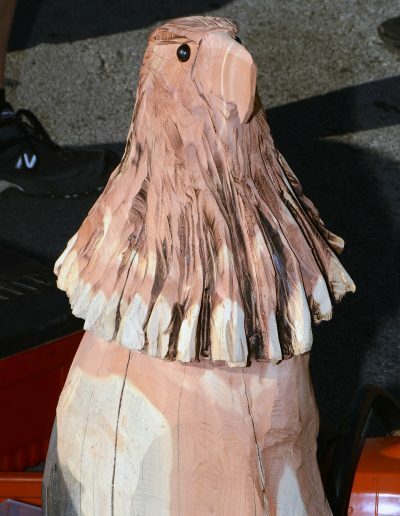 When and Where is the Chainsaw Carving Demonstration? 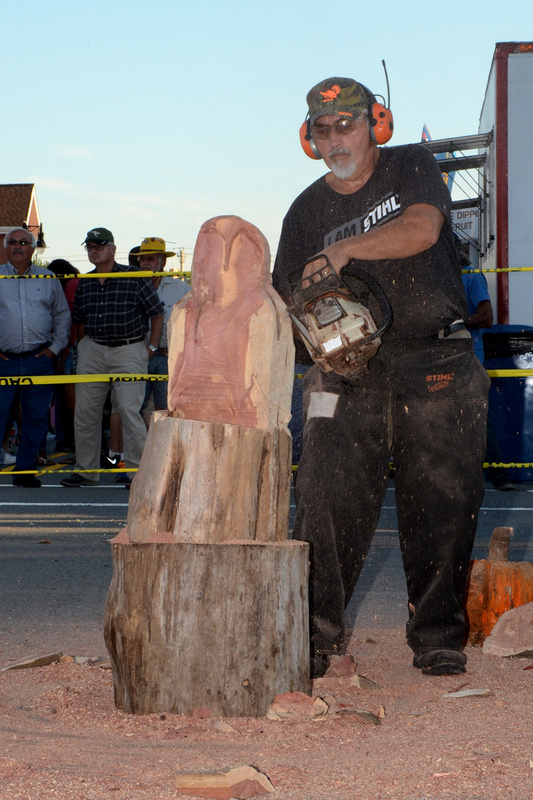 The Chainsaw Carving Demonstration is Thursday, September 13th at 7pm in front of the Event Tent. 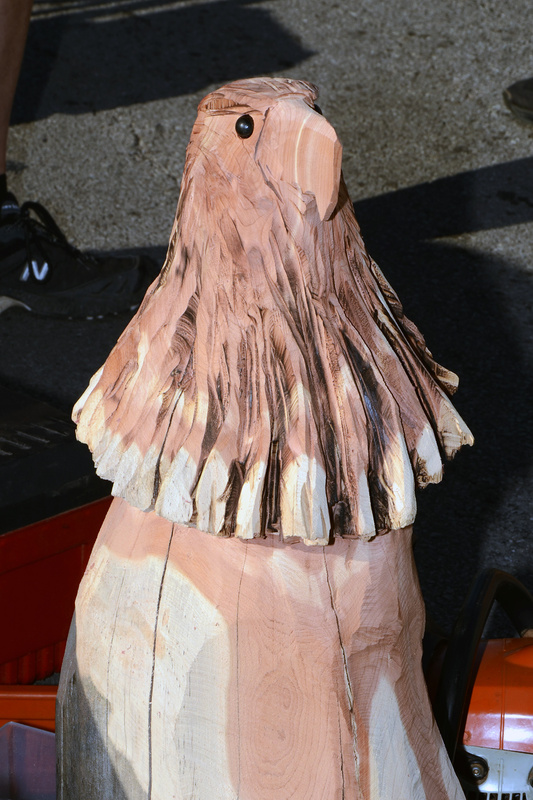 Who performs the Chainsaw Carving Demonstration? 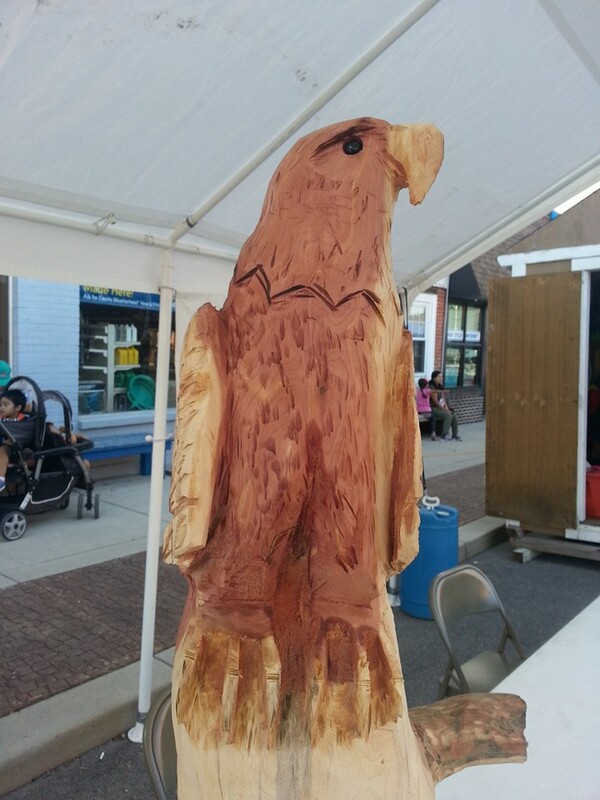 The Chainsaw Carving Demonstration is performed by Sid King, whose impressive skill has been featured at previous Ossian Days Festivals to much delight of the audiences who watched him artfully bring animal sculptures to life right before their eyes! 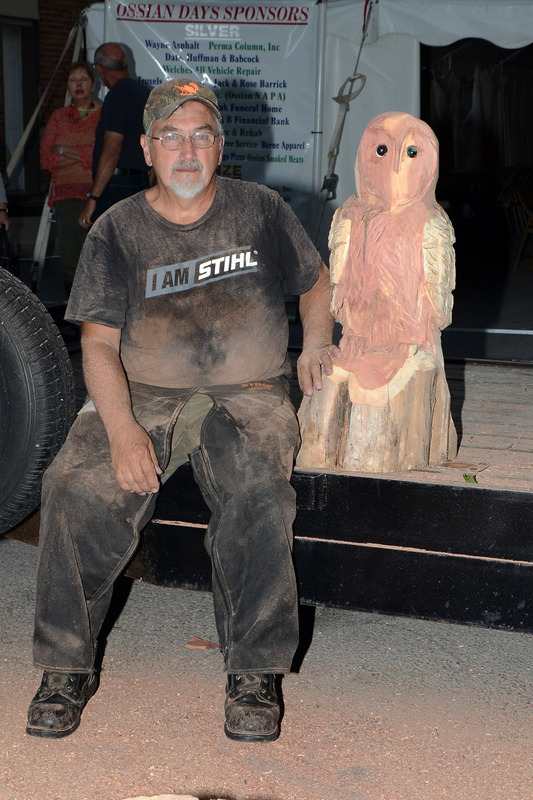 Can I purchase the wood carving Sid King creates during the Chainsaw Carving Demonstration? You can bid on it through the Silent Auction! 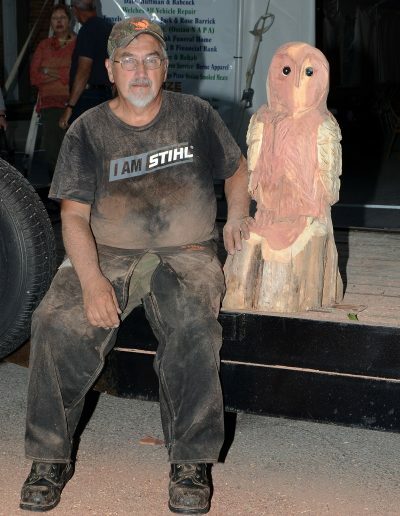 Sid King donates the wood carving he creates during the Chainsaw Carving Demonstration to be used for a Silent Auction. 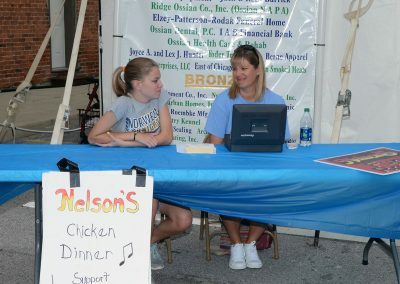 Bids are taken at the Ossian Days, Inc. booth at the Ossian Days Midway throughout the Festival. The winner of the Silent Auction is announced on Saturday evening. Who benefits from the proceeds of the Silent Auction? 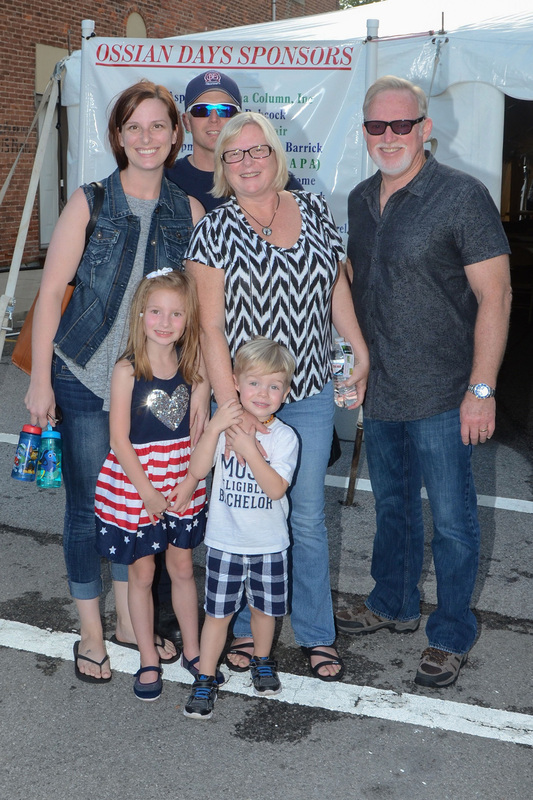 The proceeds from the Silent Auction go directly back into the Ossian Days, Inc. funds so that we can continue providing fun and memorable Ossian Days Festivals for years to come. Can I see examples of Sid King's work? Sure! 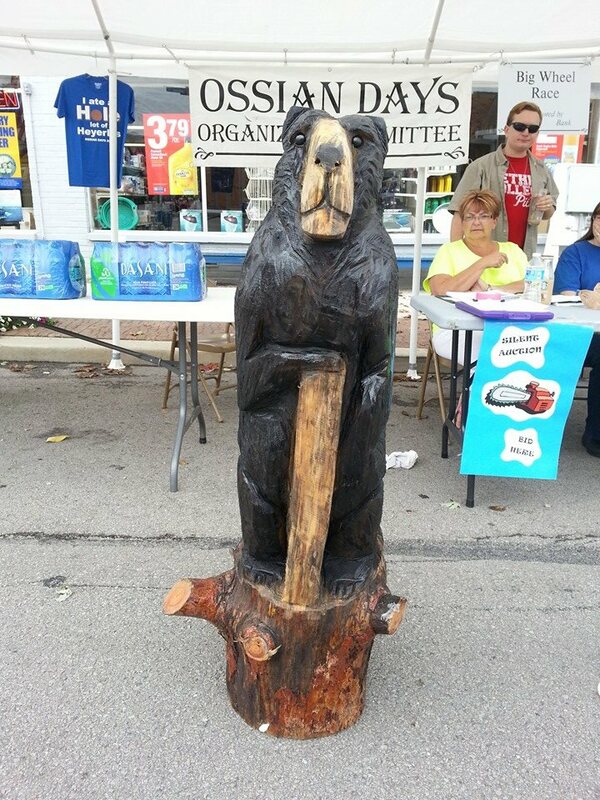 We've had the pleasure of hosting Sid's chainsaw carving exhibitions at Ossian Days previously, and have been fortunate to receive the donations of the carvings for Silent Auctions, the proceeds from which have contributed to continuing the Ossian Days Street Festival. You can see some of his work below. 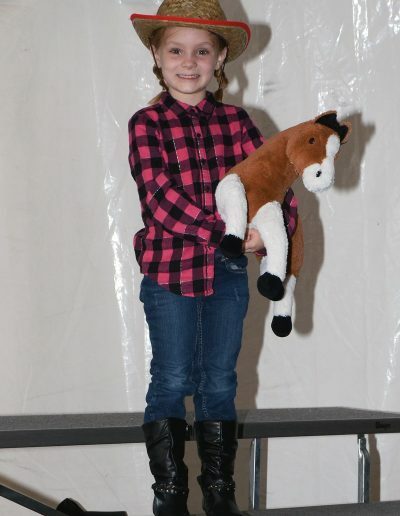 When and Where is the Ossian Days Prince and Princess Contest? 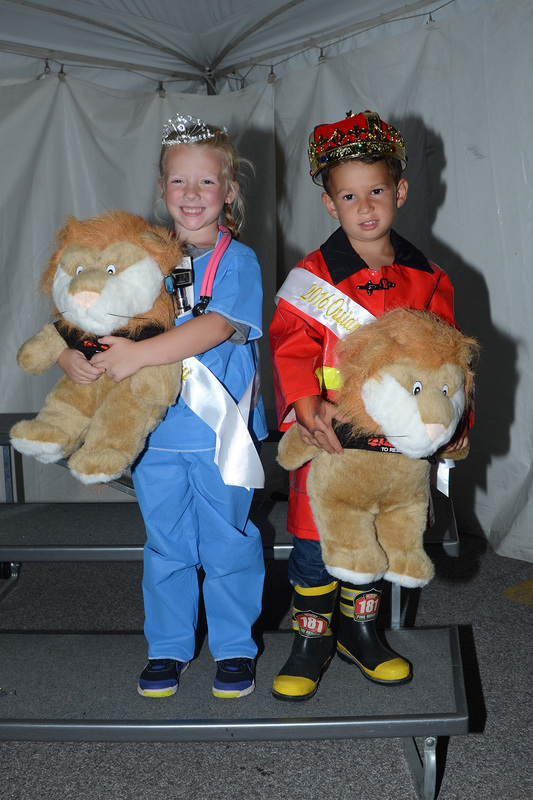 The Prince and Princess Contest is held on Friday at 6pm in the Event Tent. 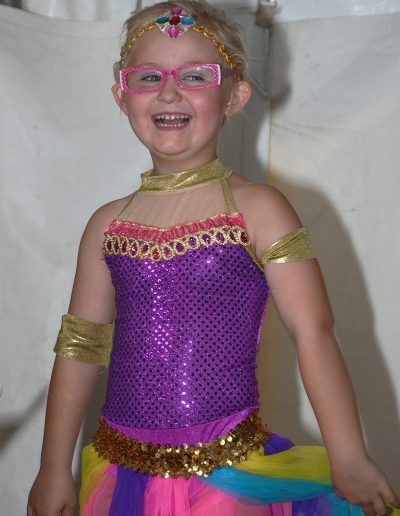 How can my child enter the Prince and Princess Contest? Download and complete a Contestant Entry Form. 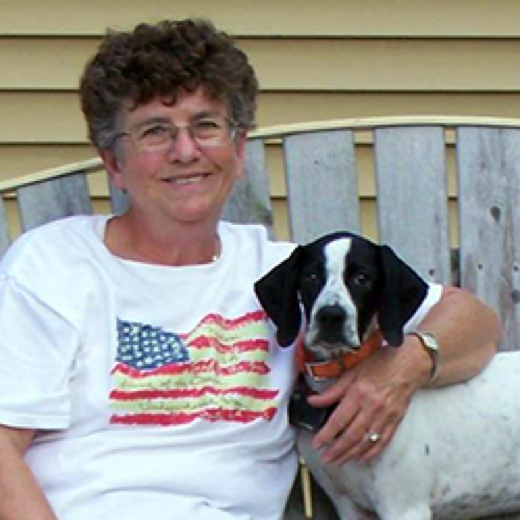 Return your completed Contestant Entry Form along with a photo of the contestant to Nancy Quatman or Bev Grzych. All materials must be received no later than Thursday, August 30th. 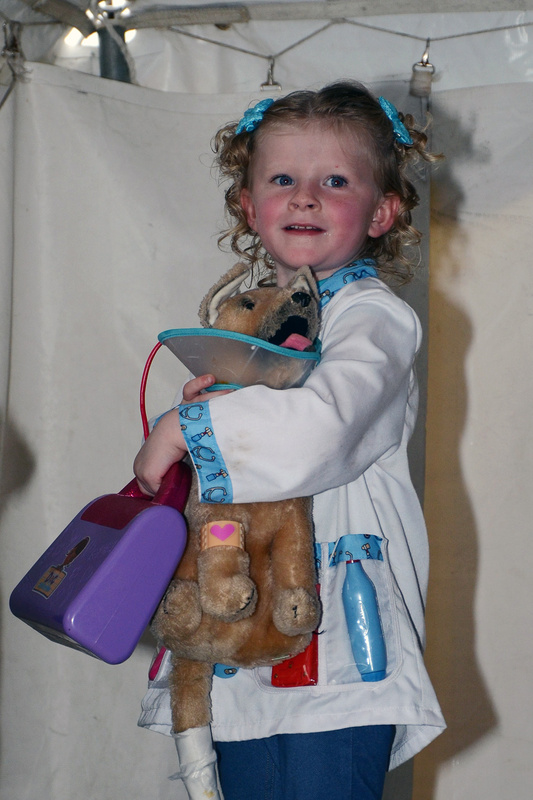 Does the photograph of my child have to a professional photo? No, professional photos are not required. 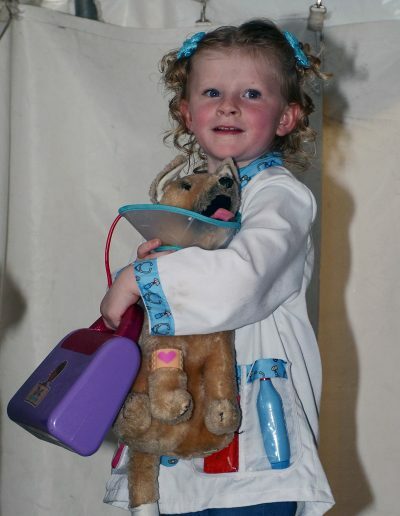 Photographs of the contestant may be candid or professional. 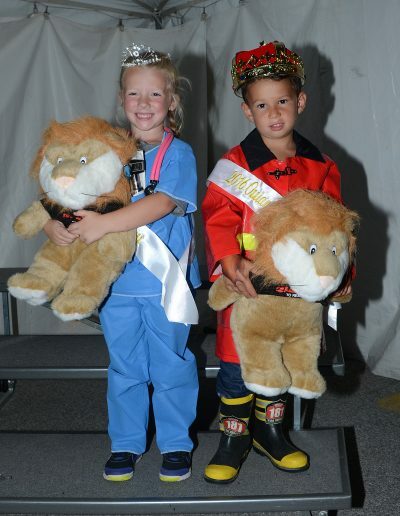 Is there a contest entry fee for the Prince & Princess Contest? No. 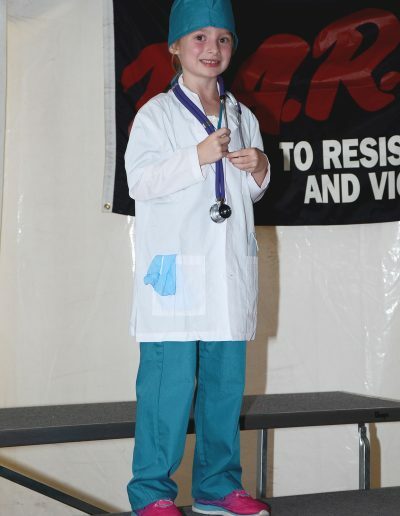 Contest entry is free for all children who wish to enter. 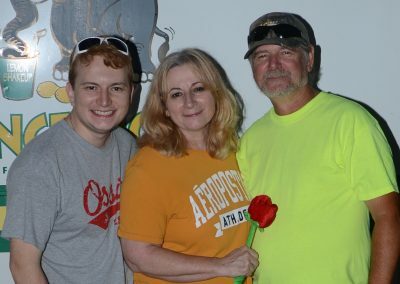 Who can enter the Ossian Days Prince and Princess Contest? 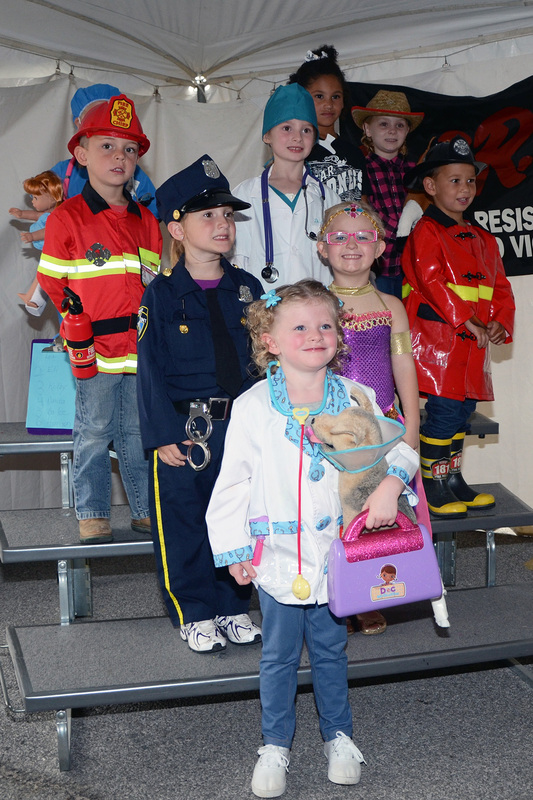 The Prince and Princess Contest is open to all children ages 4 to 6 years. NOTE: Absolutely NO BATHING SUITS are permitted. 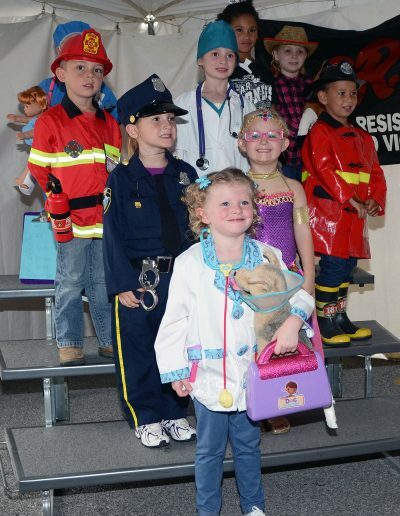 What is the theme for the Prince and Princess Contest? What is the age range for the Prince and Princess Contest? The age range for contestants is 4 to 6 years. 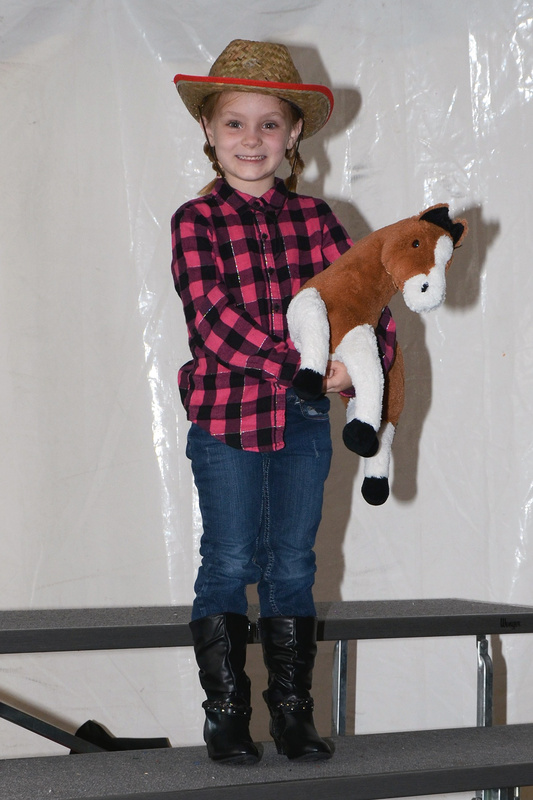 Completed Contestant Entry Forms and contestant photographs must be submitted to board member Nancy Quatman. no later than Thursday, August 30th. Who should I contact if I have questions about the Prince and Princess Contest? 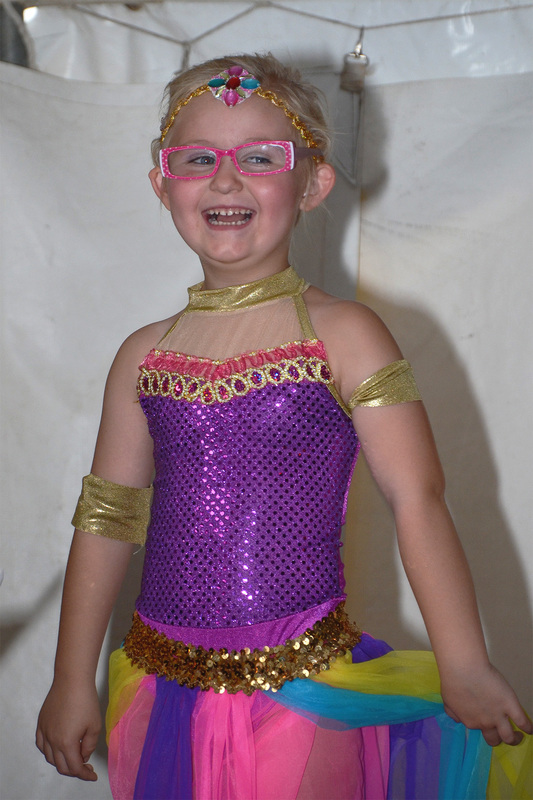 All questions about the Prince and Princess Contest should be directed to Nancy Quatman at info@ossiandays.com. 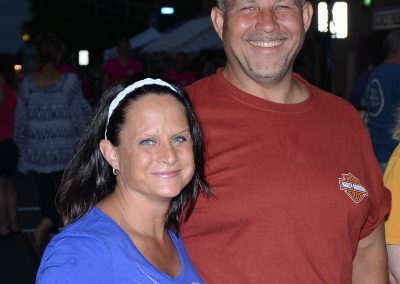 When and Where is the 5K Walk/Run? The 5K Walk/Run takes place on Saturday. Registration begins at 8am, with the Walk/Run beginning at 9am. The location is the Archbold-Wilson Park. How do I register for the 5K Walk/Run? 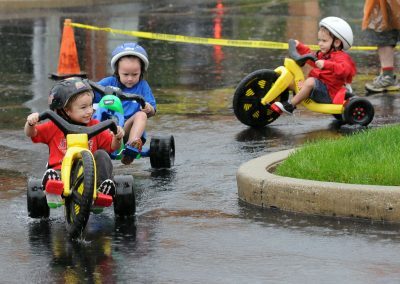 Register online at raceroster.com – Search for events in Ossian, IN. Or download an entry from at http://www.ossiannaz.org. Entry Fee is $15; t-shirts can be ordered for $12 more (deadline to order shirt is Sept 3rd). Return all completed Registration Forms and monies to Ossian Nazarene Church, 302 N. Metts Street (across from Community Market). 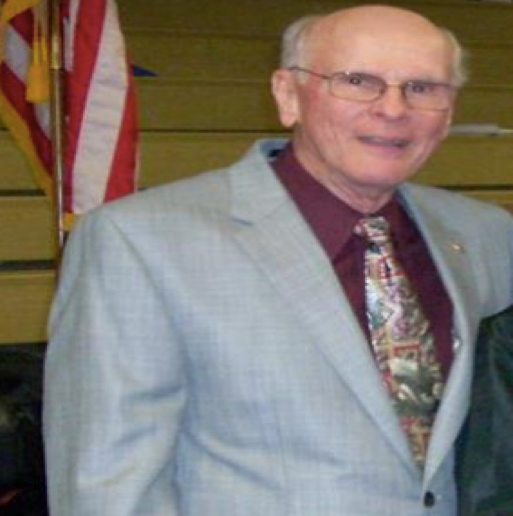 Make checks payable to Ossian Nazarene Church. Who should I contact if I have questions about the 5K Walk/Run? 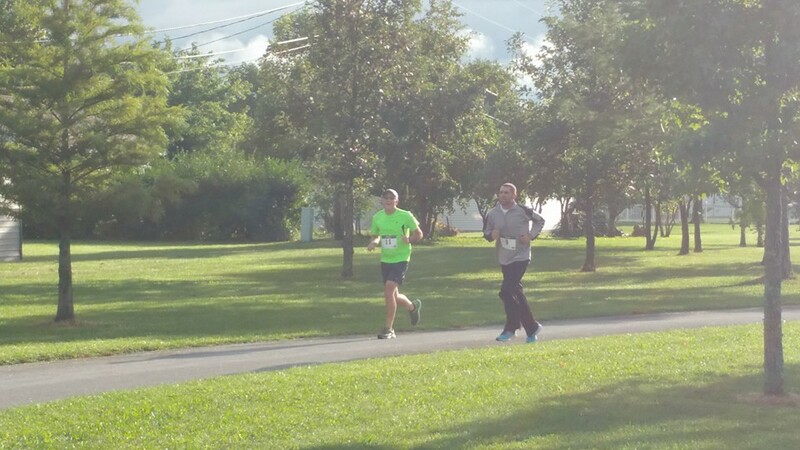 All questions about the 5K Walk/Run should be directed to Jeremy Penrod at 260-341-0785 or jepenrod1211@gmail.com and/or Pastor Bob Miller at 260-622-7449 or ocn.bobmiller@gmail.com. 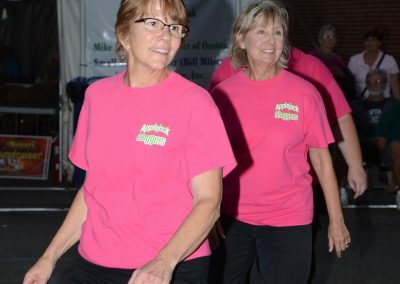 30% of the proceeds from the 2018 5K Walk/Run will benefit the Archbold-Wilson Park Amphitheatre Project. 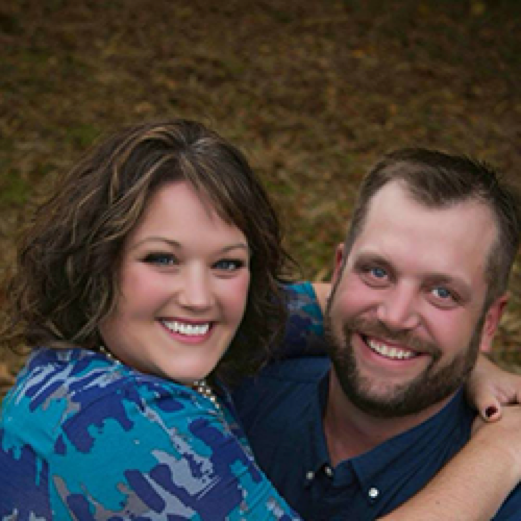 70% of the proceeds will fund the children and youth ministries at Ossian Nazarene Church. Bessie's Movement is your chance to win $500! When and Where does Bessie's Movement take place? 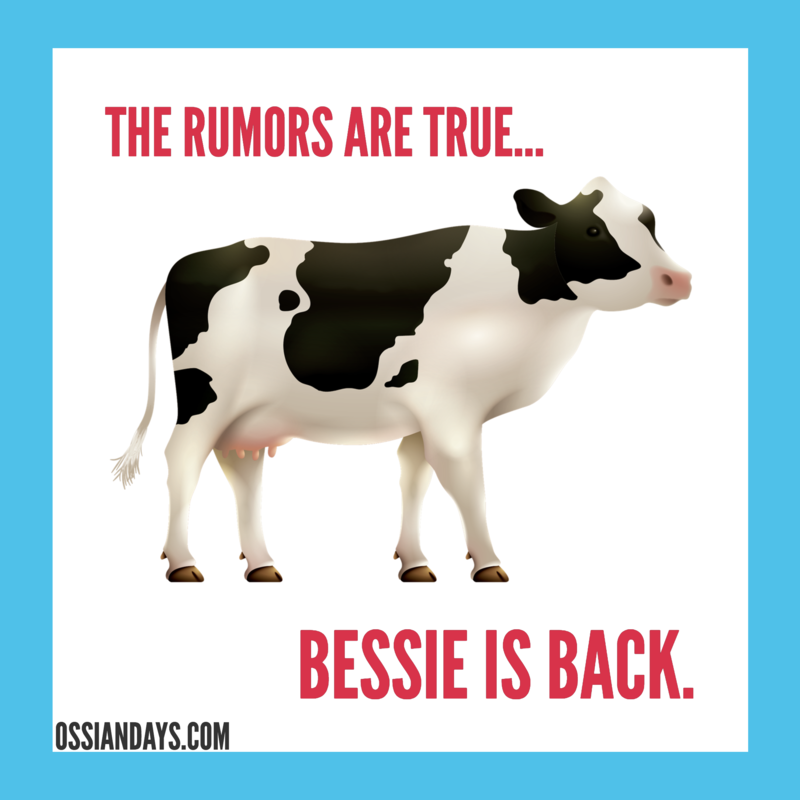 Bessie's Movement tentatively set for Saturday, September 15th, at 1pm. How much are Bessie's Movement tickets? Where can I buy them? Bessie's Movement tickets are $5 per square. 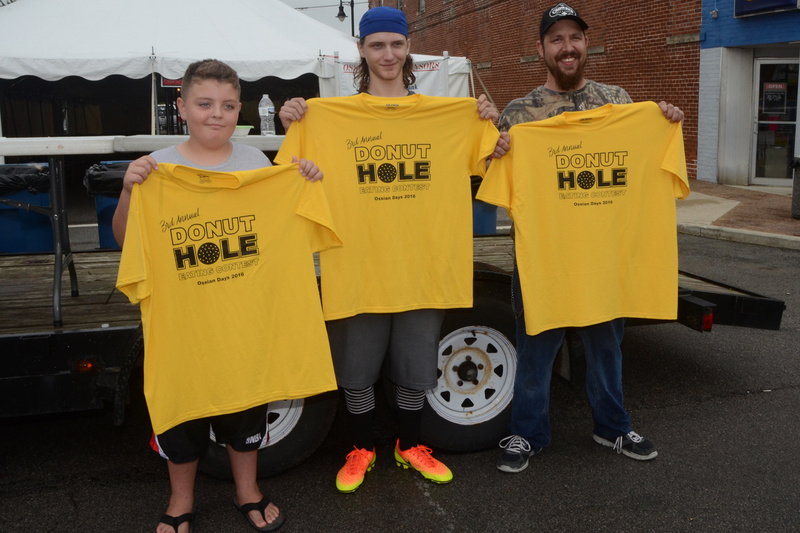 You can buy them at the Ossian Deli, Ossian State Bank, Ossian Tavern & The Tipsy Ditch. We only sell 240 tickets. Make sure to buy your tickets soon! 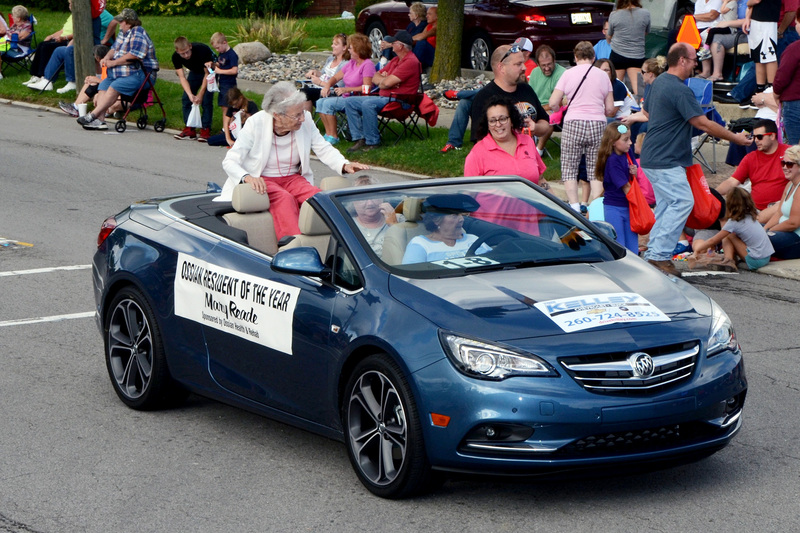 The Ossian Days Parade begins at 5:00pm on Saturday, September 15th. 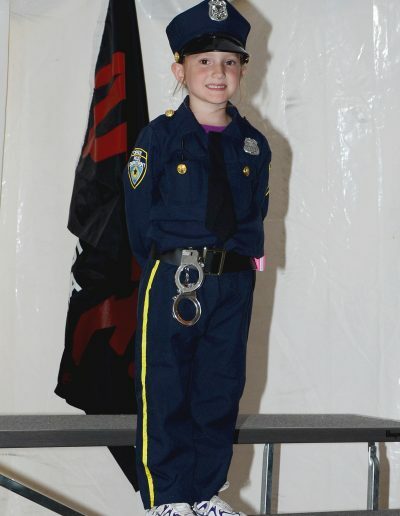 How can I participate in the parade? 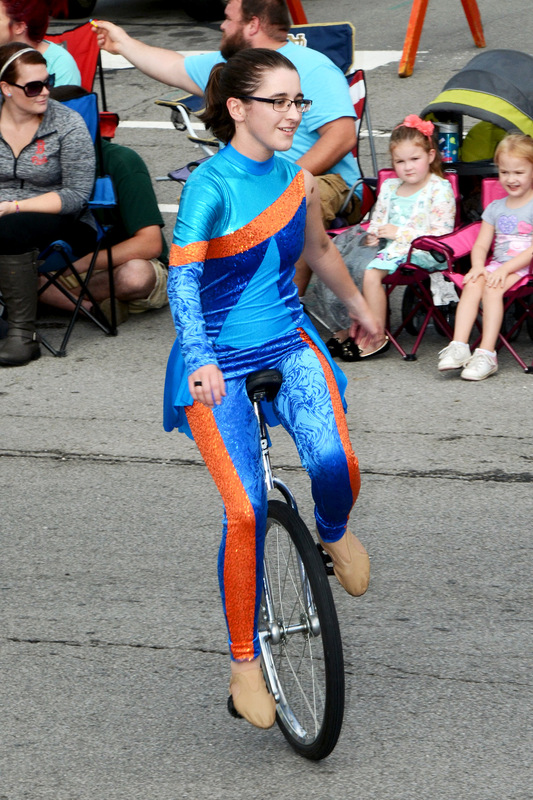 To enter a float, vehicle, or to march in the parade, you must fill out a Parade Registration Form. 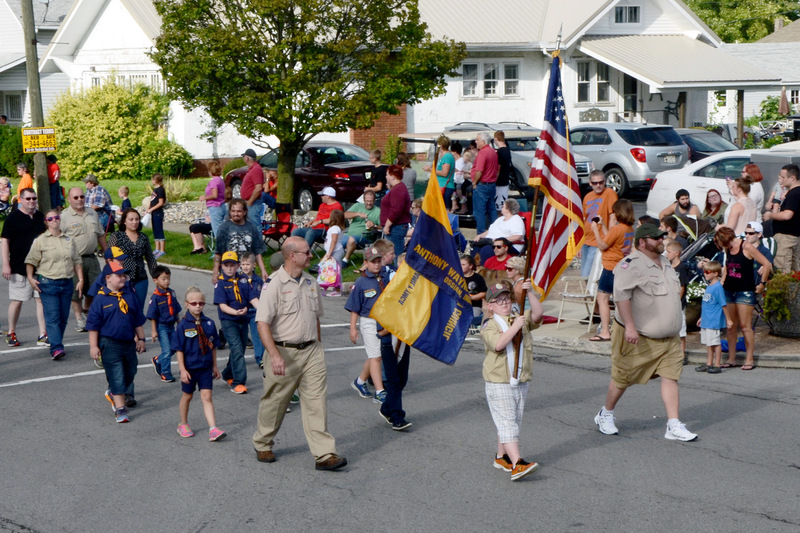 Completed Parade Registration Forms must be received no later than Friday, September 14th. 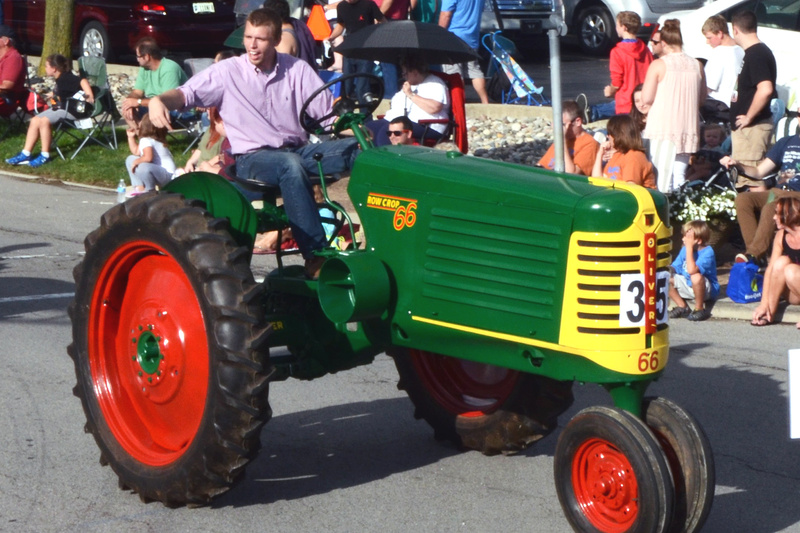 What is the theme for the 2018 Ossian Days Parade? 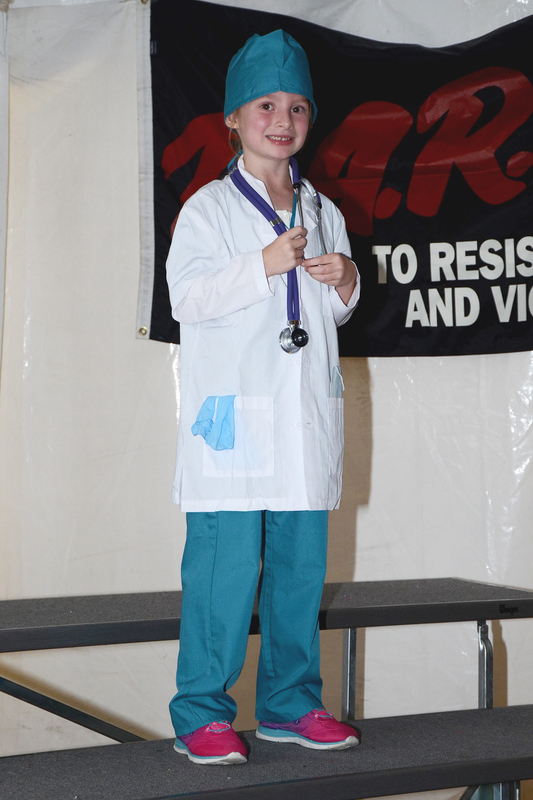 The theme is: WHEN I GROW UP…! I am in the parade. Where do I go to line up? 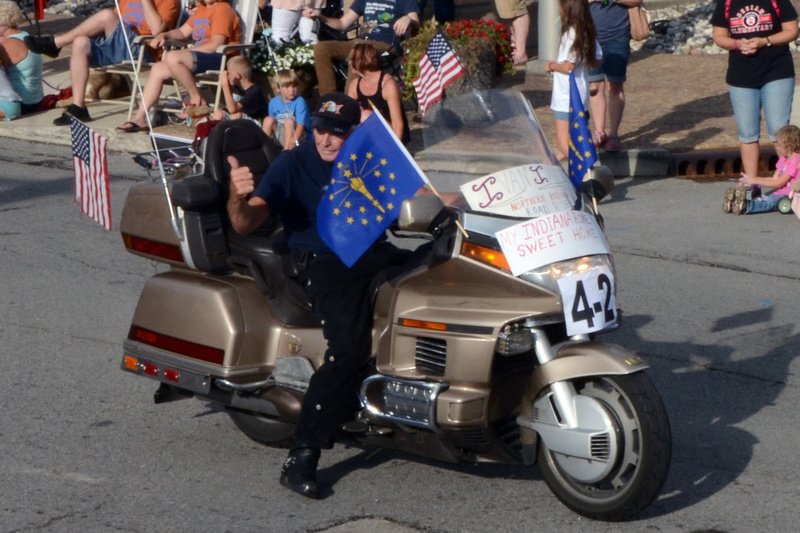 Parade participants should line up at the Ossian Town Hall beginning at 4:00pm on Saturday. The Ossian Town Hall is located at 507 North Jefferson Street. Click here for a map. When will parade floats be judged? 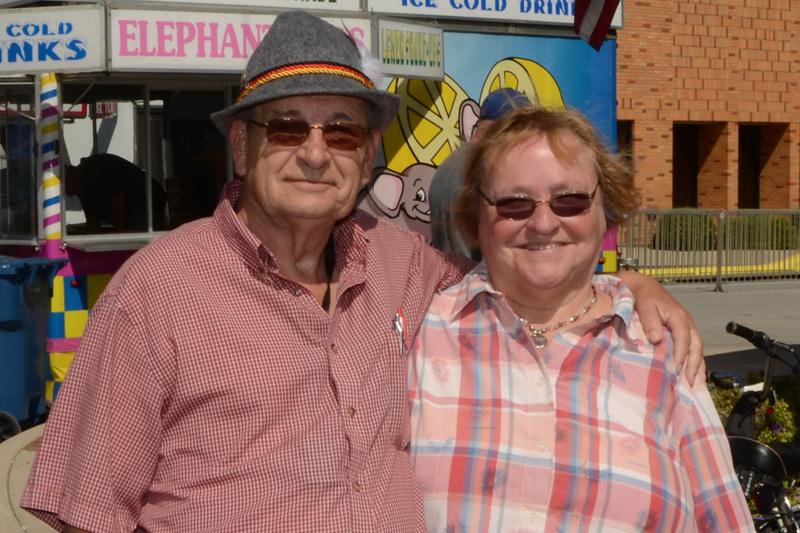 Float judging will be held BEFORE the parade. All floats MUST be checked in no later than 4:15pm. 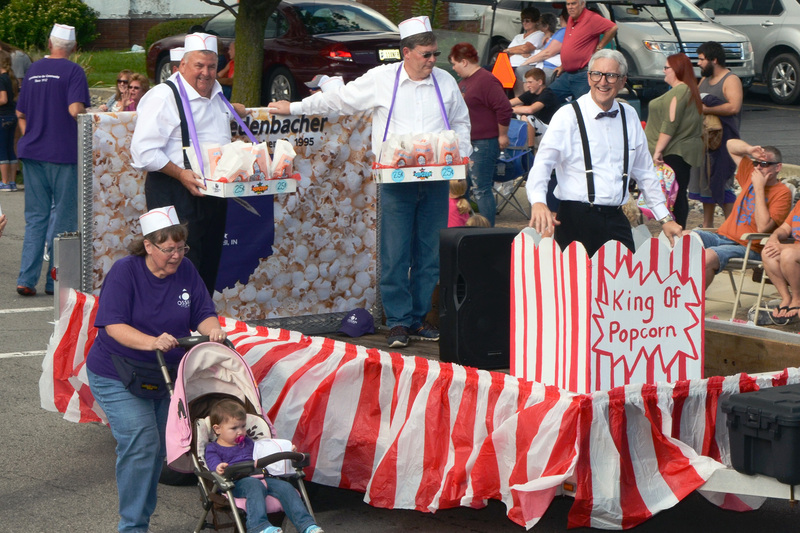 Are parade participants allowed to distribute candy, flyers, or other promotional items? Yes. Parade participants may distribute items to parade attendees if you wish to do so. For safety reasons, DO NOT THROW items from floats or vehicles, as this can cause enthusiastic children to run into the parade route and risk getting hit by a vehicle or separated from their parents. 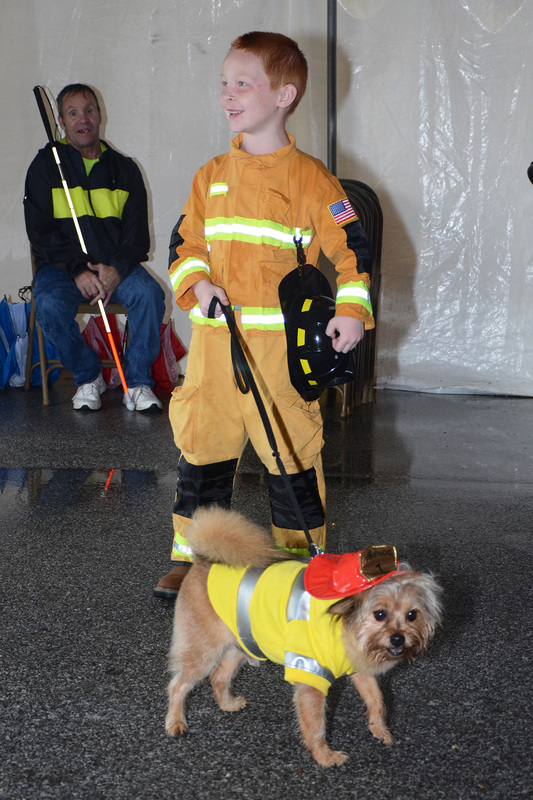 If you are distributing candy or other items, please have people walking with your group who can hand the items to parade attendees as they walk. Please contact the Ossian Board and we'll be happy to help. 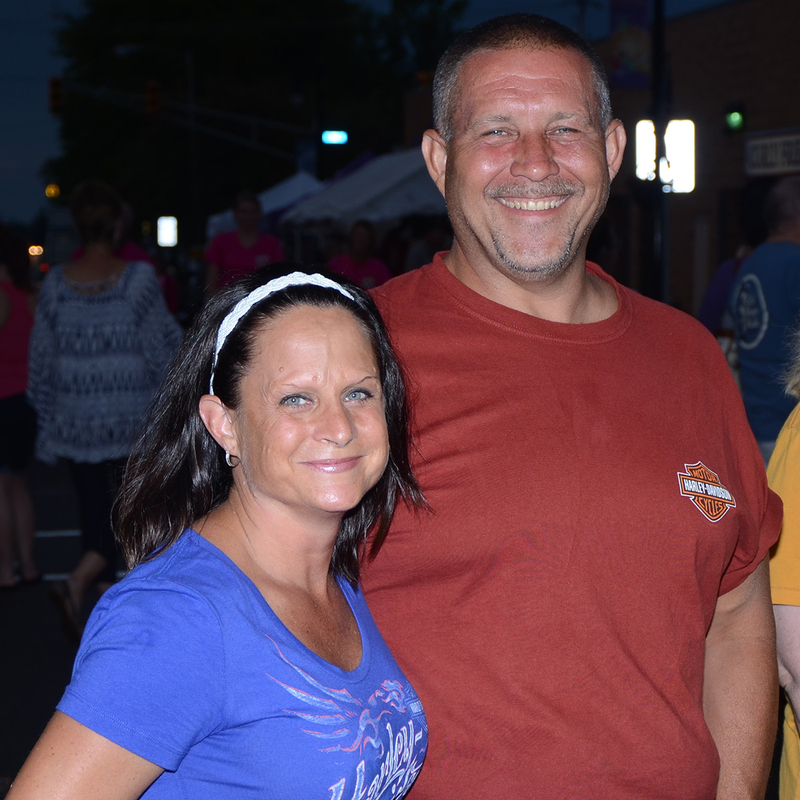 These sponsors make the Ossian Days Festival possible. 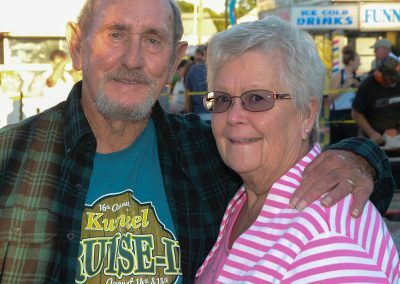 We are grateful for their generous donations that allow all of us to continue enjoying the Ossian Days traditions, and to create new Ossian Days memories. 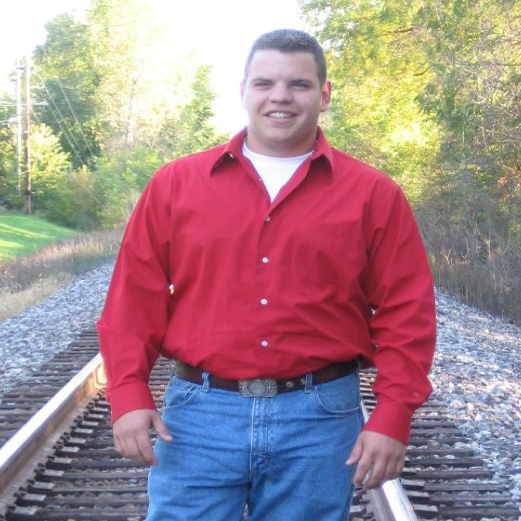 Mike Anderson Chevrolet of Ossian, Inc.
Northern IN Public Service, Inc.
Welches All Vehicle Repair, Inc. 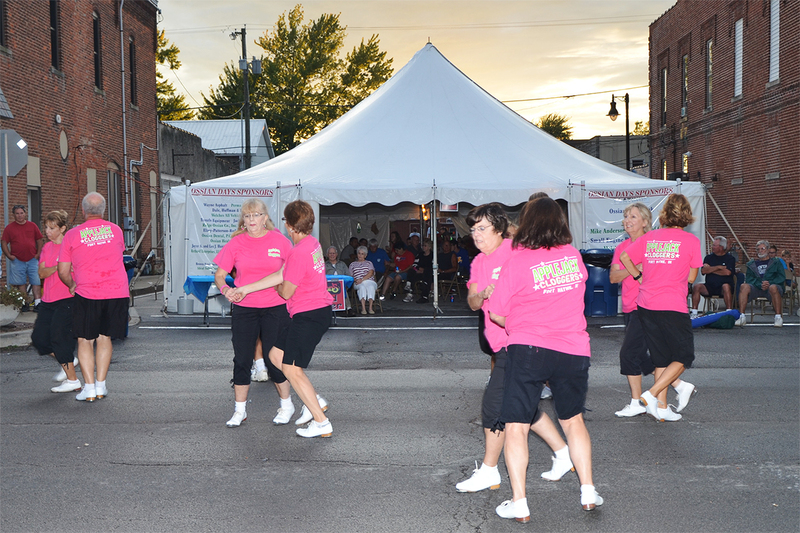 While Ossian Days happens for 2 ½ days each year, the work to organize and facilitate the street festival goes on all year long. 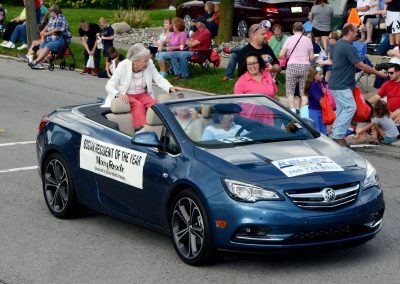 The Ossian Days Board Members are the individuals who work hard throughout the year coordinating all of the vendors, parade details, and event scheduling to ensure a fun and successful Ossian Days. 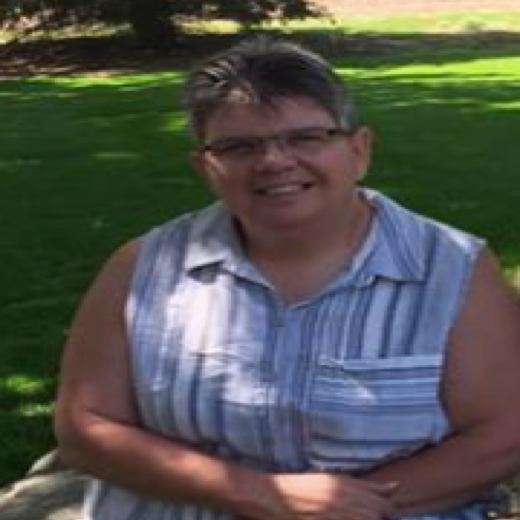 This will connect you with Board Treasurer Rose Ann Barrick.